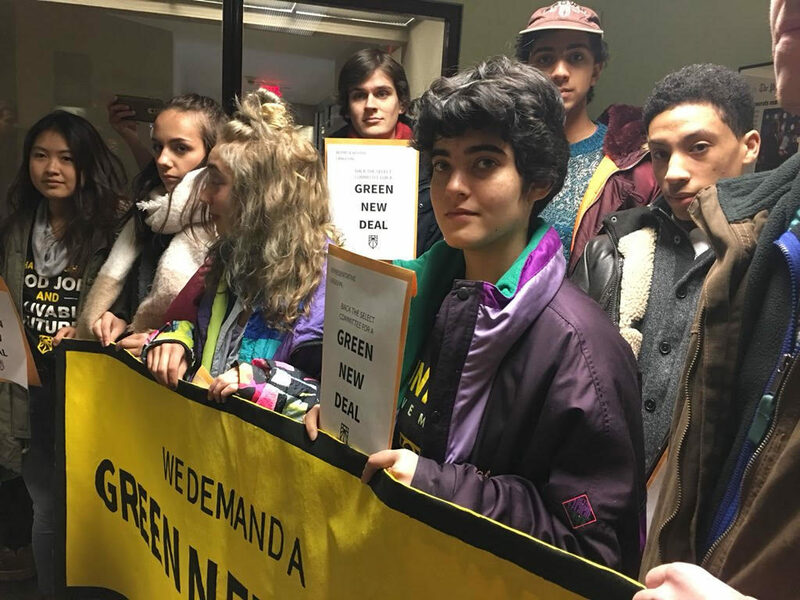 Over 40 people sat in the office of Congressman James Langevin Thursday afternoon after being refused a meeting to discuss a House Select Committee on a Green New Deal. 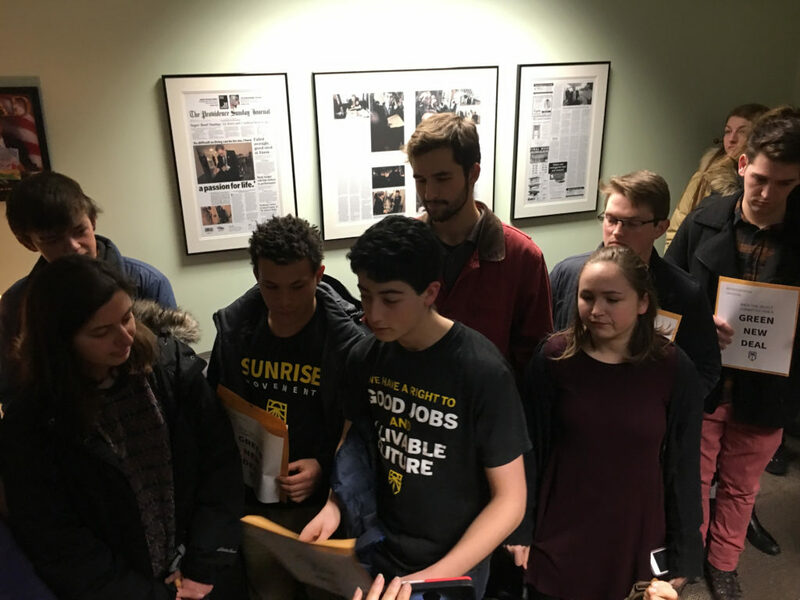 This comes just days after 1000 young people with Sunrise Movement traveled to D.C. asking Democratic leaders to support the resolution that is currently the only one of its kind. 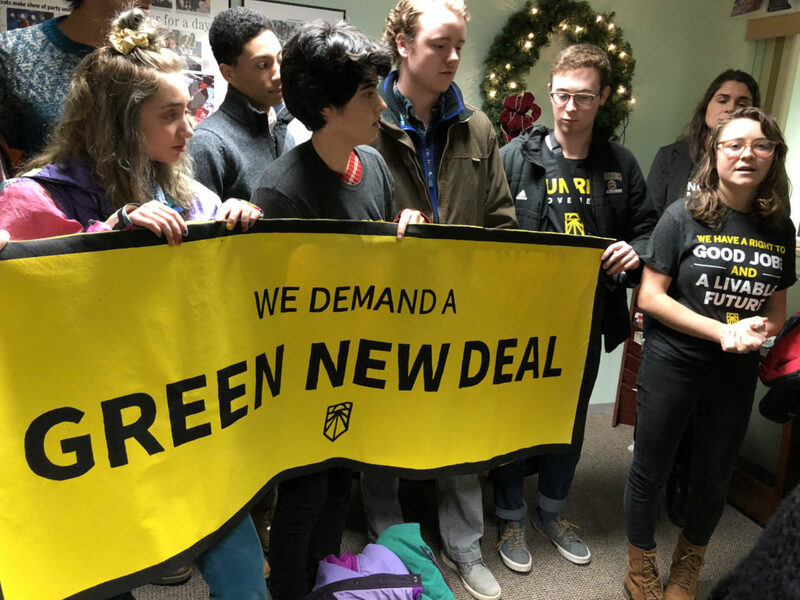 The draft proposal was put forth by Congresswoman-elect Alexandria Ocasio-Cortez, the youngest person to be elected to Congress. 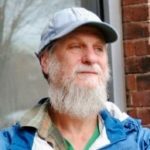 Zanagee Artis shares short story about how he is affected by climate change to Representative Langevin’s environment staff Justyn Charon. 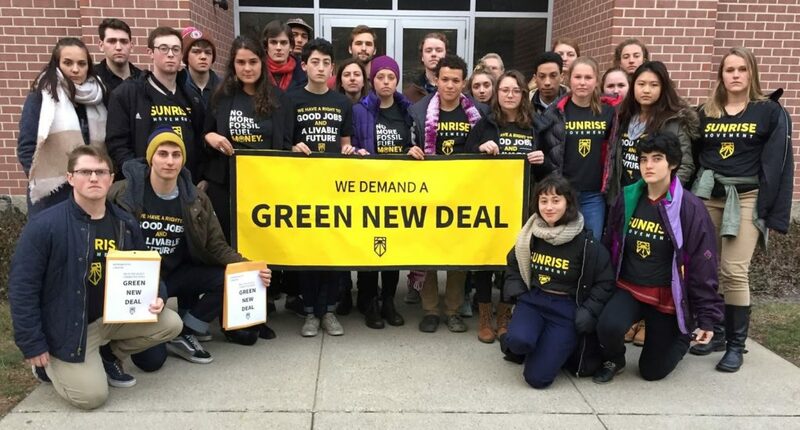 Upon release, Sunrise Movement immediately started organizing around the Green New Deal – the only plan that is in line with the science recently put forth in the IPCC (International Panel on Climate Change) report that says catastrophic impacts of climate change could occur as early as 2040. 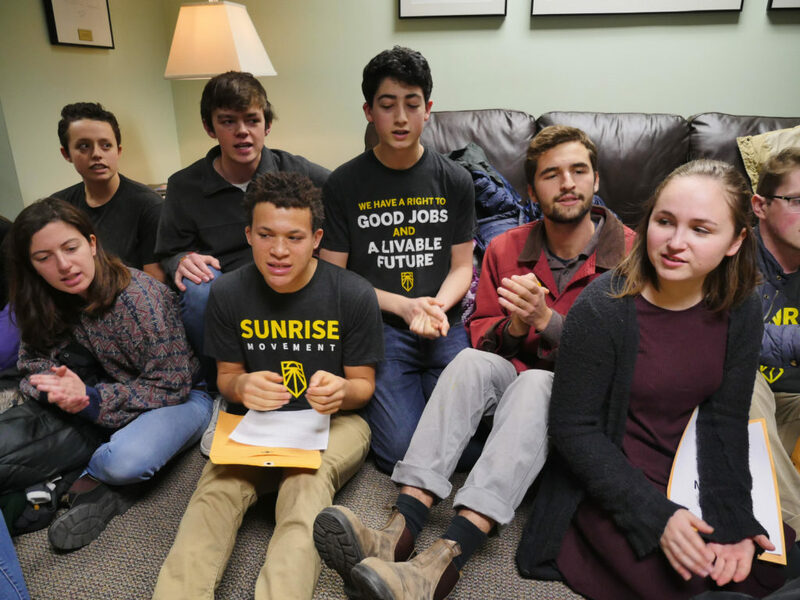 For these youth, there is no choice but to continue this fight that they say is a fight for their lives. 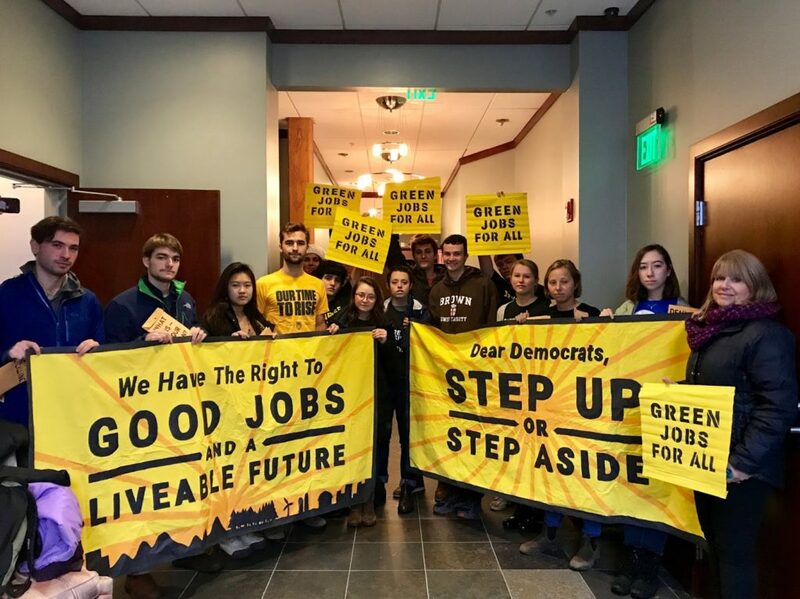 On November 13th, 250 protesters sat in the D.C. office of the likely next Speaker of the House, Representative Nancy Pelosi (Democrat, California) to demand her backing of a Green New Deal. 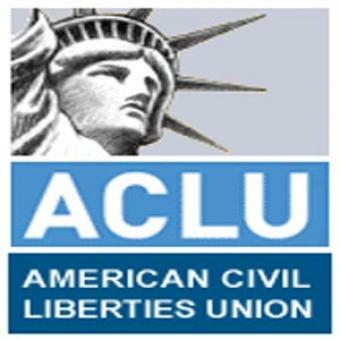 Dozens were arrested. 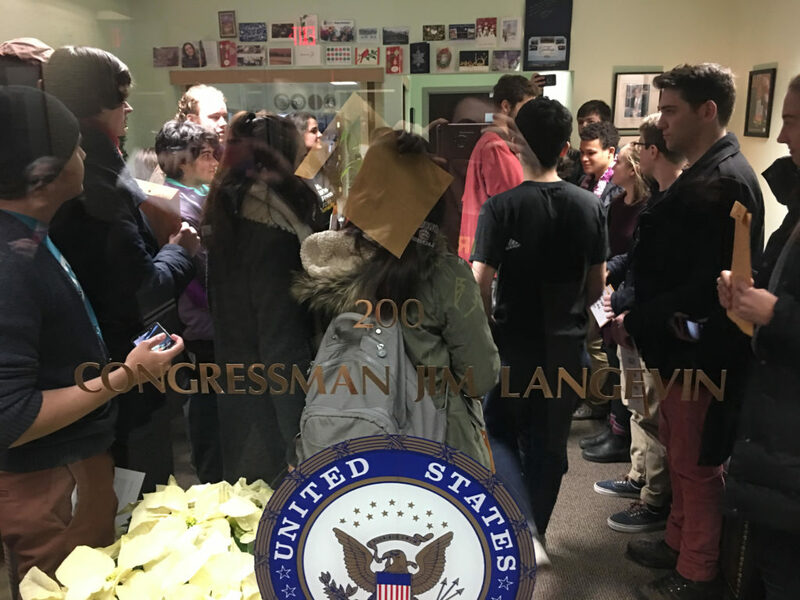 The next week congressional Democrats received office visits from thousands of young people as a national day of action, including Rhode Island Representatives David Cicilline and James Langevin. 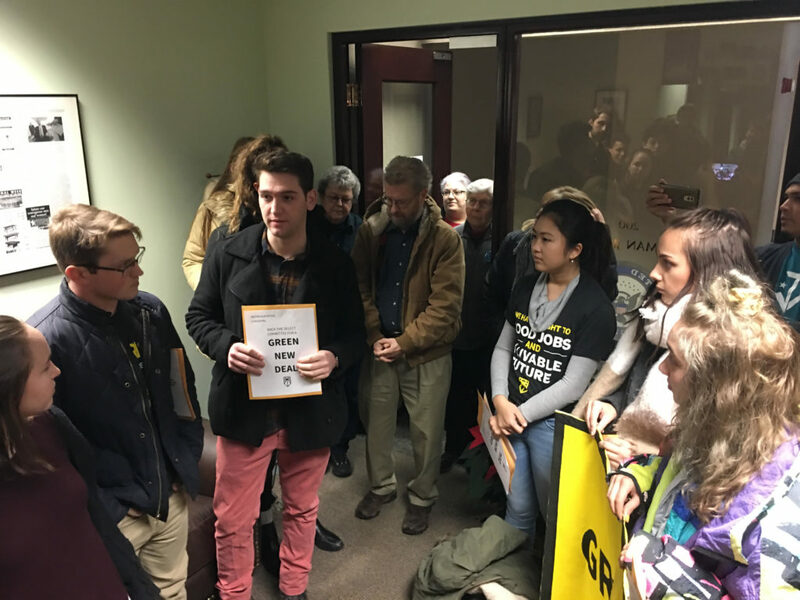 At that time, only 11 Representatives had endorsed the draft proposal – a number that since Monday’s D.C. action has grown to 37 and includes Rhode Island’s 1st District Representative David Cicilline. 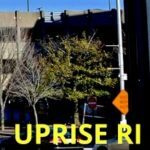 Sunrise RI pays visit to Representative Cicilline’s office as part of a national day of action November 20, 2018. 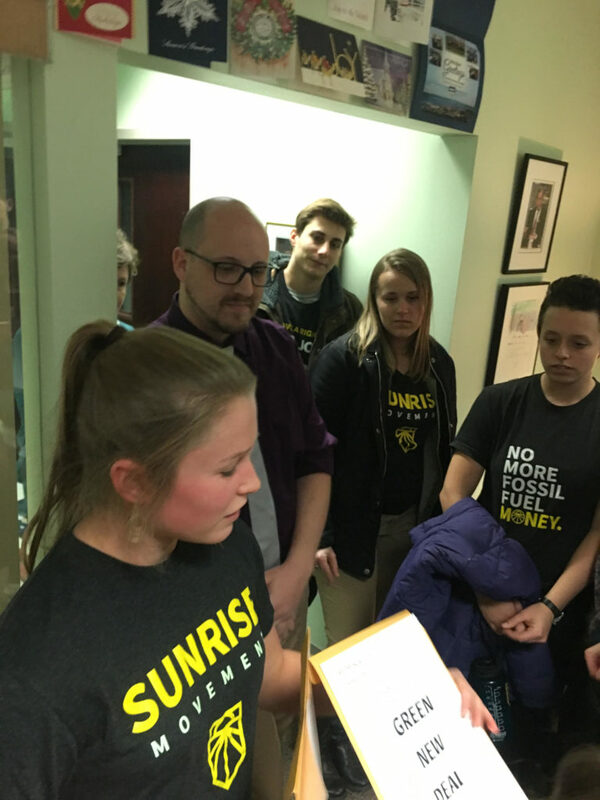 Yesterday’s visit was unscheduled, although Representative Langevin’s staff has met with members of Sunrise Rhode Island. 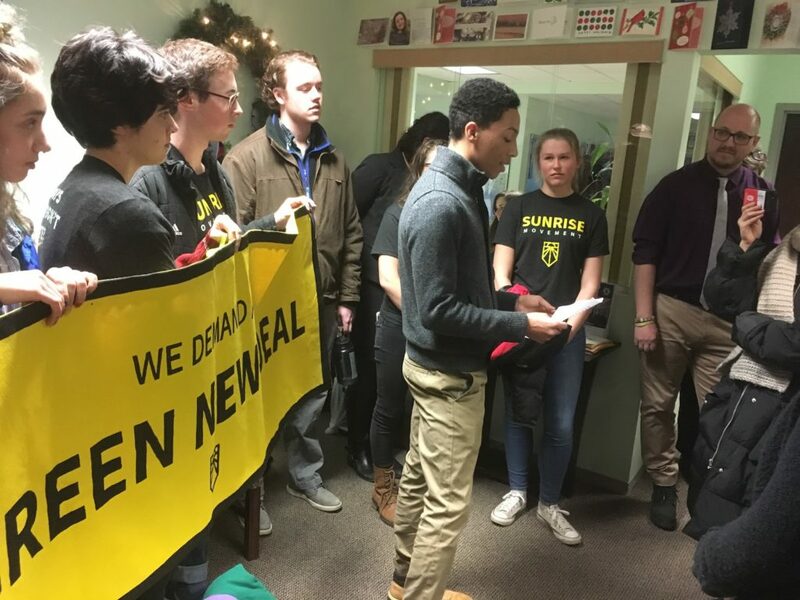 Sunrise RI outside the office of Representative Langevin’s office after sit-in on December 13, 2018. 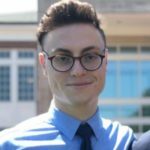 In the livestream you can hear Langevin’s environmental staffer Justyn Charon firmly express that Representative Langevin would not budge on this issue. 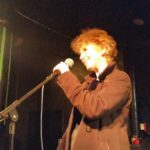 It did not stop the group from each introducing themselves and what they were fighting for, followed by three lengthier stories from individuals personally impacted by the climate crisis, ranging from missing three weeks of school growing up in Florida, to losing hope in the political system, to waking up unable to see due to fires from droughts in Singapore and then California. 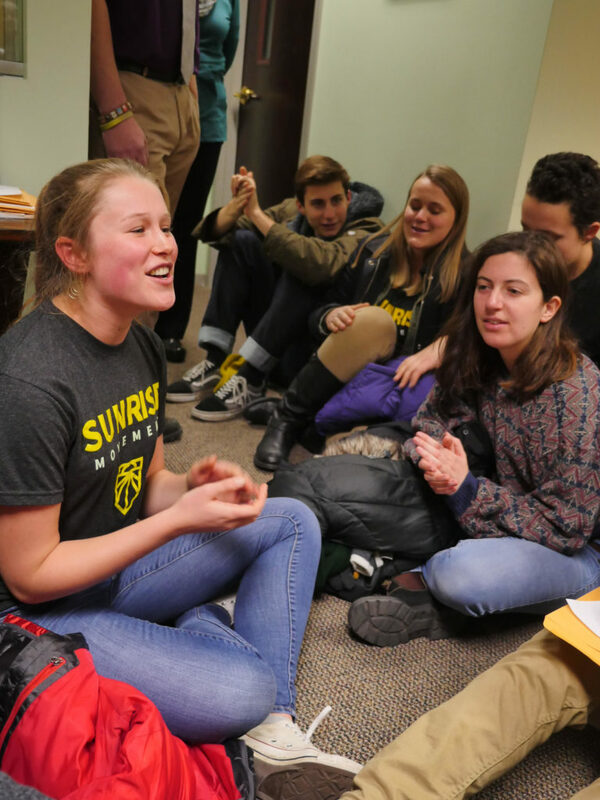 Many of the protesters were students from Brown University who took the time during finals week to not only travel to D.C. but also, for the second time, show up in Representative Langevin’s office to express that his words are empty if he claims to stand with their generation but refuses back the Green New Deal.